Ariel really enjoys being a human! Now she can wear all the beautiful gowns she's always dreamed of. She's invited you to the castle to play dress up with her! Choose a lovely gown and jewels for princess Ariel! 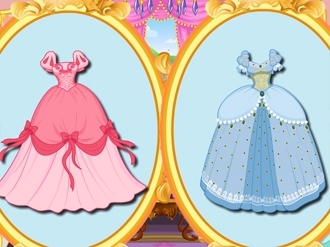 Disney princesses are waiting for you to dress them up. Rapunzel, Cinderella, Jasmine, they are all in this game. 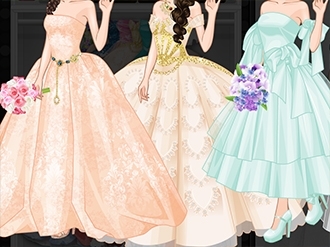 Choose your princess and start to dress her up with beautiful gowns and stunning accessories. You can always mix and match the styles and create a unique princess using your imagination. Have fun! Yesterday's birthday party was a total disaster! Children made a mess in the music room and all servants are still asleep! Cinderella must clean up this place before the royal guests arrive! Can you help her? Princess style wedding look will never be out of fashion. What can possibly be more romantic and impressive than a big elegant gown with lots of folds and pleats? This princess bridal collection was created for the brides that are not afraid of drawing too much attention. Check it out!